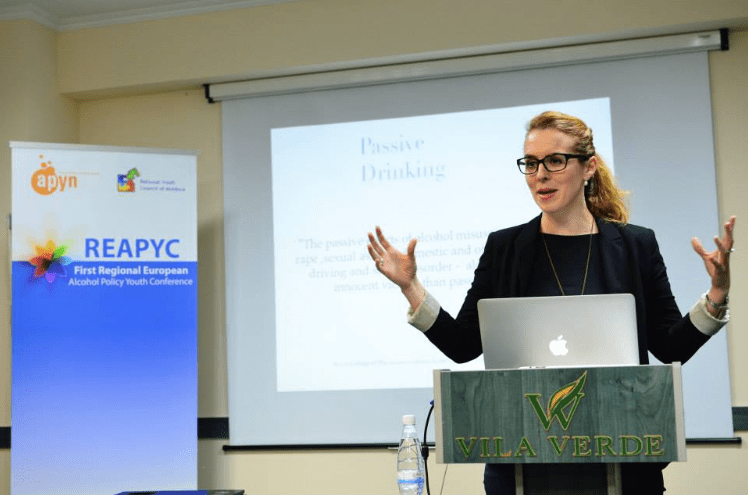 After very successful conferences in Slovenia in 2012 and Turkey in 2014, the Alcohol Policy Youth Network (APYN) carried out the 3rd European Alcohol Policy Youth Conference (EAPYC) in Bled, Slovenia between 12th and 16th May 2016. The 3rd EAPYC, which was also a concluding event of the European Commission funded project Let it hAPYN that has been empowering young people and youth organizations across Europe towards more effective and evidence-based alcohol interventions for the last three years, again focused on the main three areas of APYN’s work: capacity building, advocacy and youth research on alcohol and youth. The Conference was a great opportunity for networking and learning from the showcased products that were carried out in the last three years by youth organizations themselves. The idea of the Conference was to bring together up to 100 young people between the age of 18 and 30 from all around Europe to commonly plan the next stages of youth mobilization on the field of alcohol in Europe. Since this is a European Commission funded project, only participants from the European Union, EFTA countries, Turkey and APYN member organizations are eligible for the covered accommodation, food and local travel. Other fees apply for other participants who would like to participate and are not from these countries. See the costs breakdown below.